I turned to God seriously in 1991 and left my marketing job in Caledonian Paper Mill to take a year out before training to become a nurse. That never happened. God had other plans and during my year at St Ninian’s in Crieff doing a Training in Evangelism course my calling to ministry began. A friend said to me years ago that being a Church of Scotland minister will give me keys to open doors that not many people will get and she couldn’t have been more accurate. My parish is the men who are in the care of Her Majesty’s Pleasure and the staff who work with them. You would think that it would be a very sad, hard and volatile community. That could not be further from the truth. The Scottish Prison Service has a motto ‘Unlocking Potential, Transforming Lives’ and that is what Chaplaincy within the service has been doing for years. It is a great privilege for me to be able to get alongside prisoners, to listen to them, to let them cry, to let them vent, and to hopefully through the time and care I give them, see them develop and change. I love praying with them and handing their troubles over to the Lord. At present it is how to develop Chaplaincy. As our society changes, and we see those changes in our churches, then we too see them within prison life. Younger men who come into prison have had no introduction into spirituality and so we need to find new ways of sharing with them in our Multi-Faith Chaplaincy Service. Being a woman chaplain in a male prison brings a huge element into the service we give. ‘As slow as a week in the jail’ is a true saying and I have learnt to have more patience in my role. 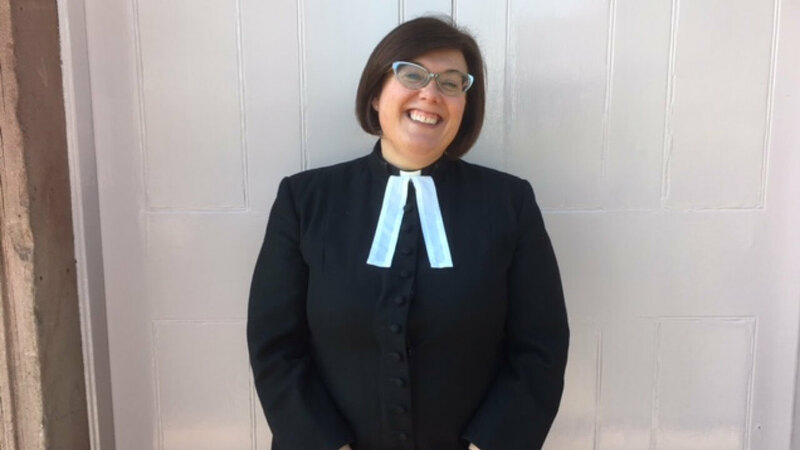 In my first charge I was the first female minister they had and now I am the first female minister to serve in HMP Barlinnie, far less becoming the Coordinating Chaplain. I know that as a woman I have brought a different aspect to ministry that has been so valuable both in the parish and in the prison community and I am proud of that. Music is my thing. I conduct a Community Choir and we sing at Guilds, Rurals and alike. I am also a member of the East Glasgow Concert Band where I play my saxophone. I play the piano and I love spending time with friends, especially over a glass of wine. Serving in ministry doesn’t mean you have to be a different person. Always, always be yourself because people see through falseness and God can’t use you if you are pretending to be something you’re not! Keep loving and keep forgiving because without it God’s grace will not be able to shine through you. However don’t be a walk-over either. It is a fantastic journey, but it can also have its difficulties, yet those times only help you grow. You’ll know when you’re in the right place, for God’s peace will overwhelm you and you’ll love serving Him.